Parenting Facilitation, also known as case management, is a problem-solving service offered to parents raising children between homes who seek professional assistance in working together to keep their children free from the parents’ conflicts. Parenting Facilitation is a child-centered dispute resolution service that assists parents in developing and implementing workable parenting plans when they are unable to do so on their own. Our parenting facilitation process uses an education based model utilizing one male, Bradley S. Craig, LMSW-IPR, CFLE serving as the parenting facilitator and one female professional serving as the communication coach. The professional team works to educate parents, meets jointly with both parents to develop an ongoing plan, monitors communications through Our Family Wizard, and assigns tasks for parents as needed such as homework. $600.00 retainer from each parent made out to Between Two Homes and mailed to the mailing address. Do send the payment with tracking for your protection, but do not send it certified signature required. Please include a cover note with the last name of the child(ren), service you are paying for, cause number, and name of the person the check is for if it does not match the name on the check. Post dated checks and credit cards are not accepted for the initial retainer. Do not attempt to deliver payment to the offices of Mr. Craig. Please deliver each form separately via .pdf scan to brad@childreninthemiddle.com or fax (972) 704-2912. Once all the forms are fully completed and on file by both parents and the retainers have been paid, an initial appointment letter will be sent to the parents to schedule the initial joint appointment. Because of the nature of high conflict families, it is important for us to maintain a written paper trail so phone calls will not be returned. If you have questions, please send questions in e-mail. Parenting facilitation is a non-confidential process in which all documentation is transparent. This protects the process and does not allow one parent to attempt to align the parenting facilitator "on their side" or "with their point of view" prior to the initial session. Do not e-mail or otherwise communicate with Mr. Craig regarding the history of your case, your concerns regarding the other parent, or other relevant information prior to your initial session though you are encouraged to address your concerns on your personal data form. For some parents, conflict continues to create distress for them and their children beyond the divorce. Problems may arise over issues that are not specifically addressed in their parenting plan. For example, the parenting plan may say that parents decide together on extra-curricular activities for their children but may not indicate how to deal with disagreements about these activities. When a conflict arises, children often feel caught in the middle. This situation may put them at greater risk for emotional and behavioral problems—e.g., poor school performance, anxiety, uncontrollable anger, and depression. While divorce itself places children at risk for various psychological difficulties, research has shown that the strongest predictor of child maladjustment after divorce is exposure to high levels of inter-parental conflict, particularly when the conflict is hostile, aggressive, poorly resolved, and focused on issues pertaining to the children. In a small % of families of divorce, such conflict continues at a high level for several years following the formal divorce decree, and it typically causes the children and the parents to suffer significant and prolonged psychological distress. Intense and prolonged inter-parental conflict can also cause problems for children indirectly. It can impair the ability of each parent to deal effectively with the children. It can draw the children into the conflict and disrupt the children’s relationships with one or both parents. In addition, it can lead to a reduction in financial support of the children by one or both parents, due to the financial costs of repeated litigation and one or both parents becoming less willing to contribute financially. Even parents who have been able to protect their children from divorce-related conflict may encounter problems when new situations arise—e.g., remarriage. 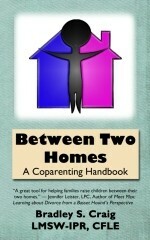 educating parents on co-parenting techniques and issues related to children growing up between two homes. The Parenting Facilitator may do this by reviewing written evaluations and reports, and talking with other significant individuals involved with the family (doctors, therapists, school personnel, lawyers, etc.) The Parenting Facilitator will meet with the parents jointly, and communicate by fax, email, or ourfamilywizard.com. Home visits may be made to both parents homes. The Parenting Facilitator can write status reports to the court as needed and defined in the order, testify in court and maintain contact with other professionals, and will be present during hearings. The Parenting Facilitator may make recommendations to the parents. One of the differences between a parenting coordinator and parenting facilitator is that of confidentiality. Facilitators are appointed in a non-confidential capacity. Texas Family Code Section 153.6051, defines when and why parent facilitators may be appointed, their duties and responsibilities, qualifications needed to serve as such, and compensation. The rate for Parenting Facilitation services is $200.00 per hour rounded up to the nearest 15 minute increment. This includes all services of the Parenting Facilitator and/or Coach including reviewing documentation, records management, meetings, correspondences, phone contact, e-mail, court time, reports, legal expenses, consultation with other professionals, deliberation, and issuance of recommendations when parents are unable to resolve issues themselves if authorized by the court. With the exception of individual sessions or individual training in person or in writing, charges for the service will be equally divided between the parents. Fees for phone calls and written communications specific to that parent will be billed to the parent who initiates the call or necessitates the written communication from the Parenting Facilitator. This applies unless the parenting facilitator is provided with a copy of a current order that states otherwise, or if the parenting facilitator determines that one of the parties is disproportionately utilizing service time, in which case the party disproportionately utilizing service time will be billed based on time used. This determination is solely at the Parenting Facilitator’s discretion. With the exception of the initial retainer, payments for services may be made with cash, check, Pay Pal, credit/debit, or money order and are expected to be paid at the end of each session or on the day of receipt of an invoice. Checks should be made out to Bradley Craig. There is a $35 returned check fee per returned check. Returned checks will be charged the maximum fee allowable under law. If either parent must cancel a session, it must be done in writing within 48 weekday business hours of the scheduled appointment. Business hours are defined as weekday business, non-holiday hours, Monday through Friday, 9:00 a.m. to 5:00 p.m. Arriving after 15 minutes of the scheduled meeting beginning time will be considered a cancellation. Cancellations of any appointment with less than 48 weekday (Monday through Friday, excluding holidays) hours notice will result in the canceling party being billed the entire service fee. Payment for the canceled session is to be made upon receipt of invoice. Payment for the canceled session will be paid by the parent who did not cancel on time, was late, or did not attend and will be for the entire session fee for the duration the session was scheduled. If a parent leaves a session early the remainder of the time for that session will be charged to that parent. If the Order to participate in parenting facilitation services stipulates that only one parent be financially responsible and the other parent cancels without the 48 weekday business hours of the scheduled appointment notice, the canceling parent is still responsible for that charge. Retainer: A retainer equal to three (3) hours of service, or $600.00, is due in advance from each of the parties. Each parent must maintain a retainer of $400.00 as long as services are active. If one party is ordered to pay for all costs of services they will also need to pay $1,200.00 for both parties and maintain a retainer of $800.00. Payment for the initial retainer may only be made by check or money order made payable to “Between Two Homes”; no electronic payments are accepted. Services will be charged against the retainer provided that the parties continue to fully replenish the retainer when billed. If a party is late in replenishing the retainer services may be suspended until such time as the retainer is replenished. Should services no longer be needed, refunds will be issued only if there is remaining retainer on account for the case, and then only up to the amount of retainer on account. Should one side fail to provide full payment issues of reimbursement will be charged to that individual for all attempts to seek compensation including written notices and legal fees. Other costs: Each of the parties is responsible for any fees for production of third party records or other information related to services. Costs for copying of records by the Parenting Facilitator and other administrative costs will be deducted from the retainer. Copies of records produced by Between Two Homes, LLC. are billed at the same fee as charged by the District Clerk’s office. Time in administrative tasks, including correspondence to parties, attorneys, or reports to the court, is billed at the parenting facilitator’s standard hourly fee. If a client or attorney requests a court appearance, deposition, or participation in any type of settlement conference by Mr. Craig there will be a minimum charge and deposit of three hours ($750.00) per day. If the court or both attorneys request a court appearance, deposition, or participation in any type of settlement conference by Mr. Craig, these fees are split unless otherwise addressed in the order. Once the deposit is received Mr. Craig will block of the time to appear. Please note: if an appearance request and the deposit is received without a minimum of one week notice the nonrefundable deposit is due immediately and there will be an additional $250.00 express charge ($1000.00). Failure to provide the nonrefundable deposit at least 48 weekday business hours (Monday through Friday, excluding holidays) constitutes release from the requested appearance. Deposits are nonrefundable unless cancellation of the appearance request is received by the requesting individual or attorney not less than 10 business workdays in advance. Completion of the Children in the Middle class live or online class within the past 6 months is required prior to the first session.